When it comes to making your house more energy-efficient, you have to focus on the ceiling, walls and floor. Our company will assist you throughout the planning stage and carry out the installation project for you. Our first job will be to help you decide on the types of insulating materials which will be used. Usually, different materials will be required for the attic, walls and floor. The structure of your house will be a main determinant of the form of the insulation (foam, loose fill, rigid panels and so on). The R-value is naturally the most important factor that you have to consider after this. 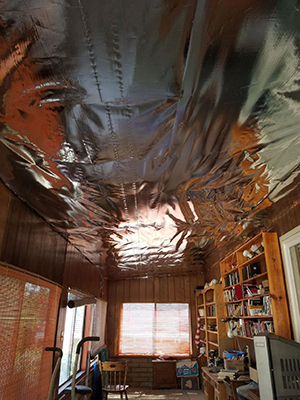 We always help the people who use our insulation services to take a closer look at the options and evaluate their performance and durability over the long term. Count on us to install the material that you chose, with precision and care. We will do the math to ensure that you will get enough of it in the first place. It is our commitment to ensure perfect fitting of the insulation, regardless of its form. This is how you will enjoy the highest possible R-value, meaning you will make the most out of the insulating material. If necessary, we will fill leaks in advance. Air duct seal repair may also be required in some cases. In general, you will achieve the highest level of energy efficiency when your house is insulated and when your HVAC system runs at its full capacity without waste. For more information, give Air Duct Cleaning Cypress a call today!